More than any other populace on Earth, Americans are on the move. Because of factors such as employment, climate or retirement, 14 percent of the U.S. population bounces from place to place every year. Now, one researcher at the University of Kansas has made a vital study of how a population in perpetual motion impacts local tax bases and economies around the nation. "California has been losing people for at least a decade," Hall said. "Two patterns of migration are under way in California. People are leaving the coast and moving to the Northern interior. When they leave, they tend to go places like Arizona and Nevada. So it's not a far move. And they also are going up north to Seattle and Portland. Part of the answer there is that it's just very expensive to live on the California coast." Hall said that income levels on the California coastline have remained consistent, despite the population loss. "Even though people are moving, income is still flowing to the California coast," said Hall. "Higher-income people are able to afford it and working people are not." Hall said that his research uncovered a trend of "de-urbanization" across America. "People are moving away from the major cities to smaller cities — cities of 1 million to 2 million — and away from cities of 4 million-plus," he said. "In a sense, the exurbs are what's happening. What you'll see is that folks are moving out of the city cores into the periphery. They're willing to move away from the big cities into the medium-sized metropolitan areas." According to Hall, people are motivated to move by a combination of reasons. He said they are influenced in their decisions by factors like climate, jobs and tax rates. Also, he found that younger people are more inclined to move, along with Americans who have reached retirement age. "Once you get families there's a lot more stability," said Hall. "That stability generates a disinclination to move, but they're willing to commute longer distances. But even then, there's a lot of dynamism around metro areas even if they're not moving across the country. In the big picture, it's the first time in U.S. history that the general migration pattern is eastward rather than westward." But how does all of this movement of people challenge regional governments that depend on a stable base of taxpayers to fund schools, roads, police and other vital civic services? "I don't necessarily buy the notion that if you're not growing, you're dying," Hall said. "But there is a question of value and what are you willing to embrace in terms of a balanced quality-of-life." Hall said that many municipalities face stark policy choices in terms of the kinds of employers that they are willing to accommodate. 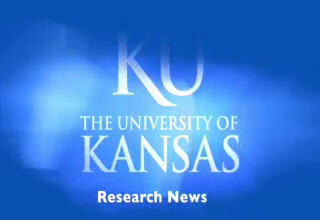 "Every community wants to be a healthy, nice place to live with good jobs," the KU researcher said. "But you can't overcome the dynamism of people. Policy as a tool can only go so far. Everyone is chasing the same people to move and the same businesses to create jobs. But having a balanced approach to defining good government services, to defining reasonable tax rates, to not being biased against the types of business that come to your community, that is one of the best perspectives in terms of trying to nurture community growth." Conversely, Hall said that a new influx of people could put stress on a community's ability to provide services. "If places are growing too fast, and it's not well thought through, that can put a strain on finances," he said. "However, generally speaking, from a community perspective, in-migration is a good thing." More information: The full report, "The County-to-County Migration of Taxpayers and their Incomes, 1995-2006" is available online at www.business.ku.edu/_FileLibra … axpayerMigration.pdf .